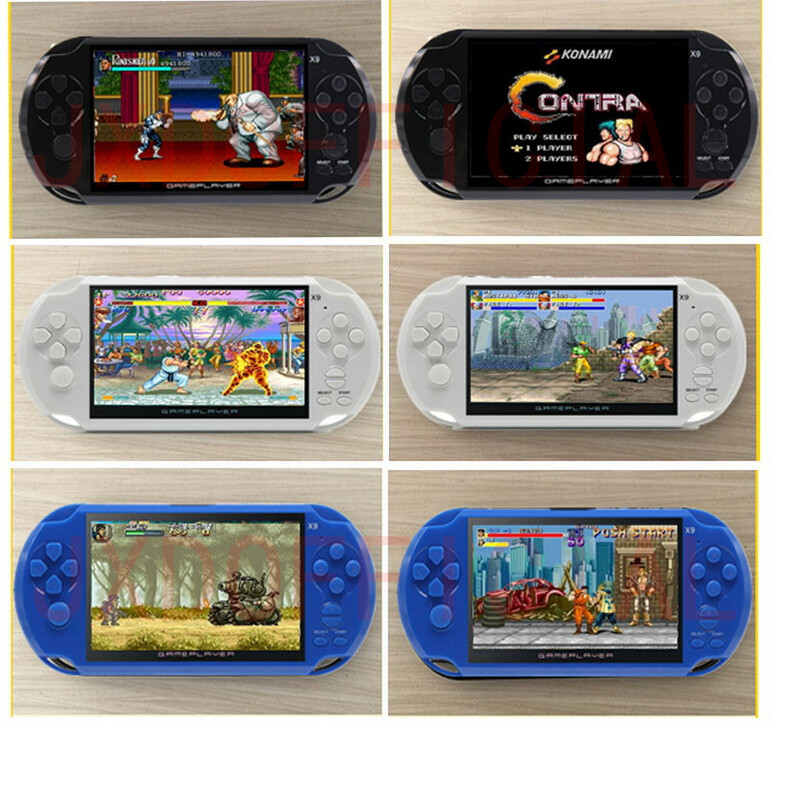 16GB 5-inch upgrade version is available now, 5-inch upgrade version supports 128-bit 3D Arcade(CPS/NEOGEO) games and GBA / GBC / GB / SFC / FC / SEGA / MD games. 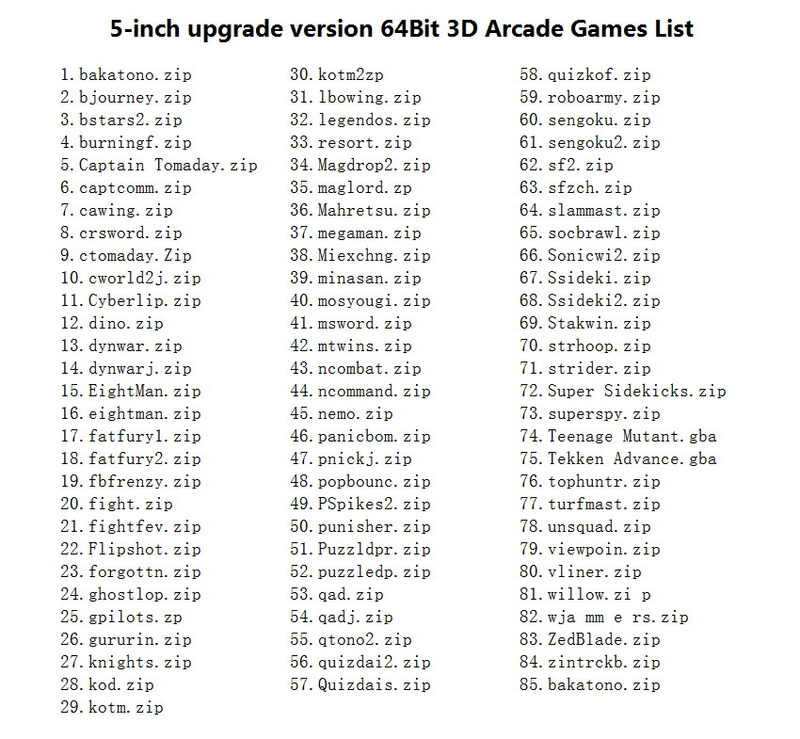 Built-in 1395 games. 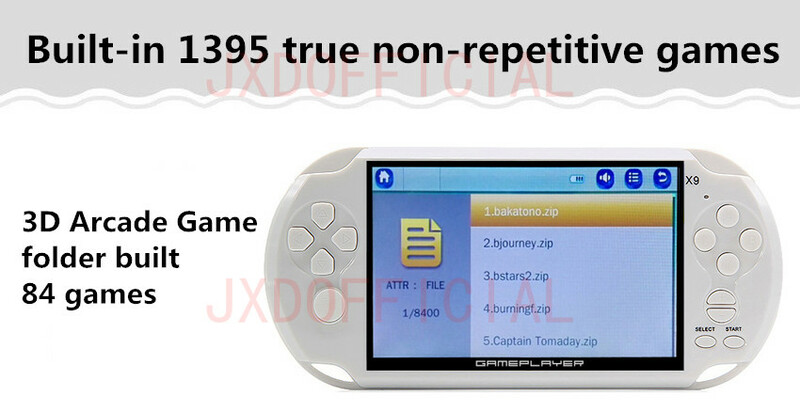 About 1395 games:Really built-in 1395 real no-repeat games , the user can connect to the computer for inquiries. 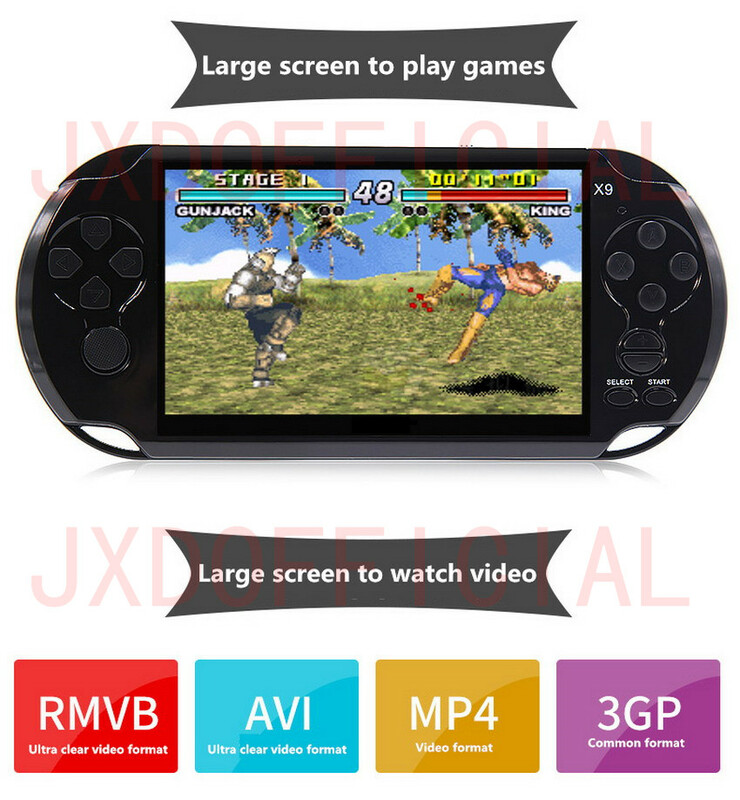 Special Reminder: Many sellers say that their game console built in 10,000 games, this is not true. In fact only 100 games in the repeated display. Users can follow the game number to query. 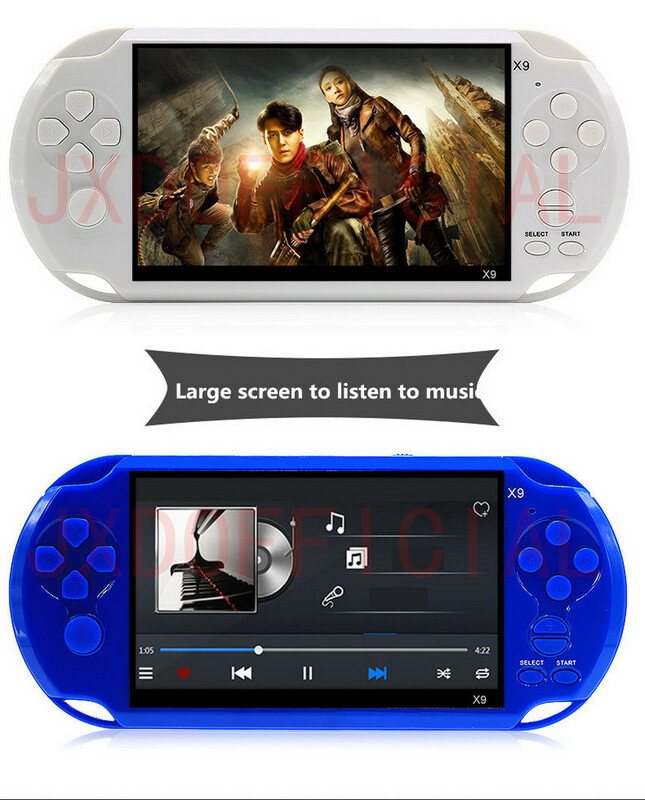 Screen Size:5 Inch LCD Screen. 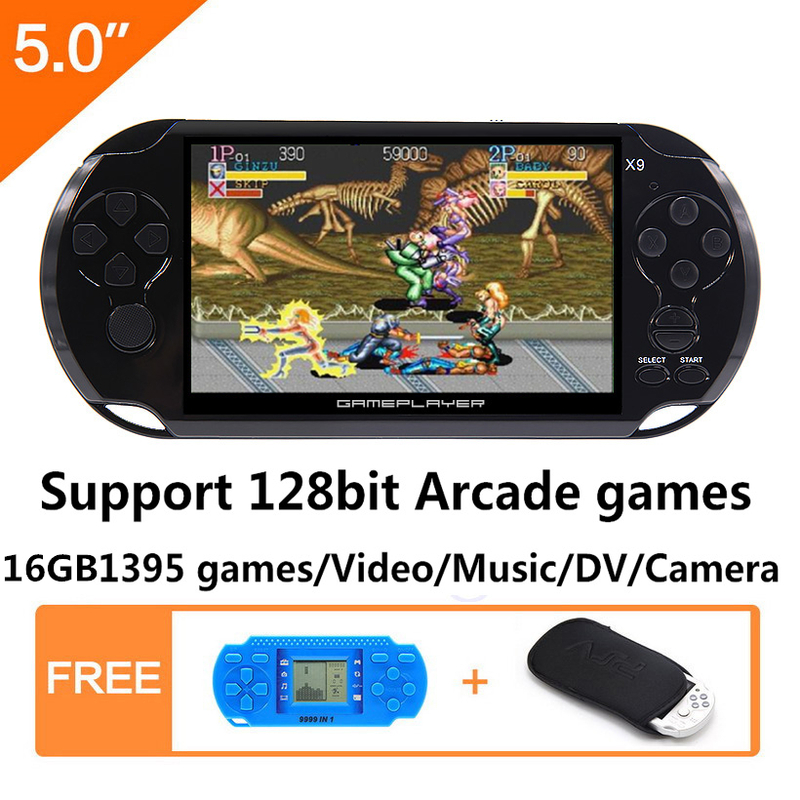 Built-in Free Games, Built-in 8-128-bit games. 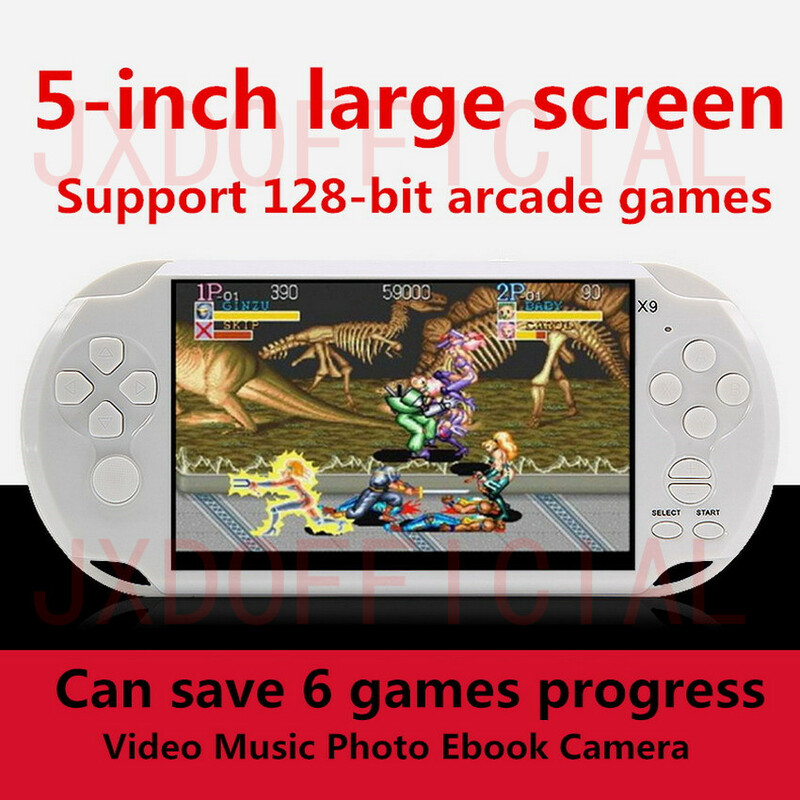 Support HD Video, Music ,E-book,Photo, Calculator, Calendar,Recorder. Built-in Camera Captures Beautiful Moments. 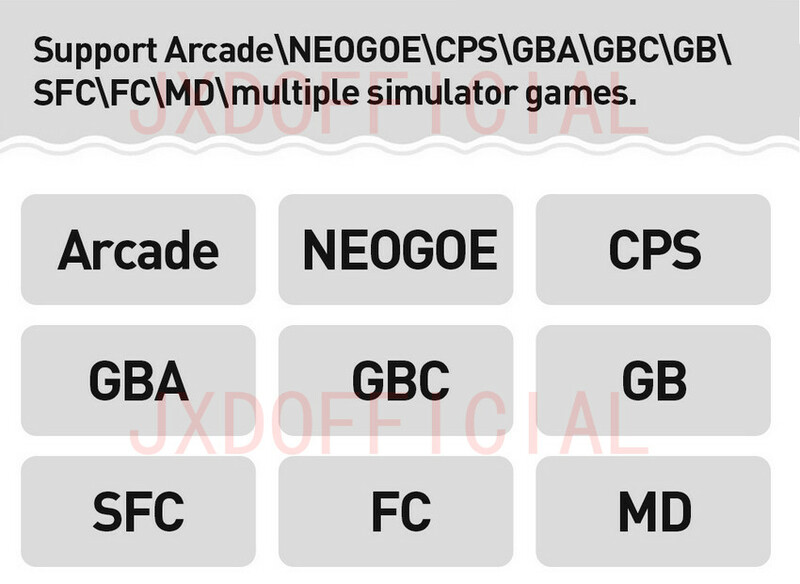 1.In the process of playing the game,Press the “SELECT” button, select “Save Game” can save the game progress.Select “Resume” to return to the game. 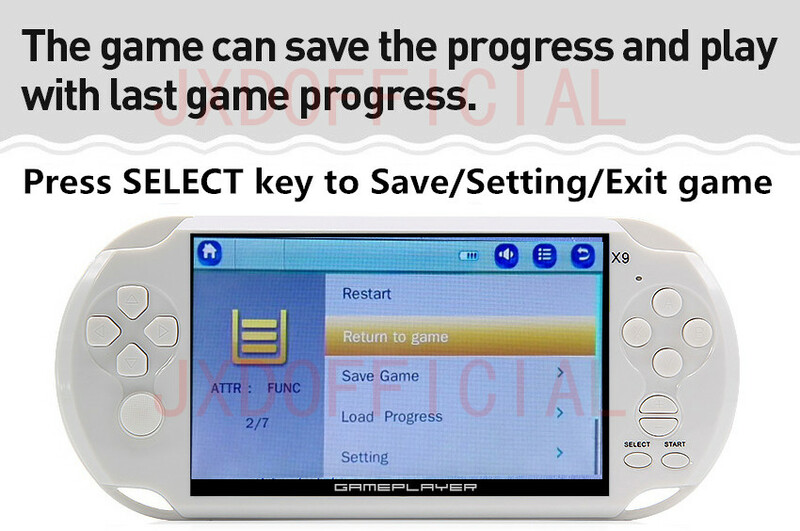 2.If you want to play with last game progress,After entering game,select “Load Progress” . 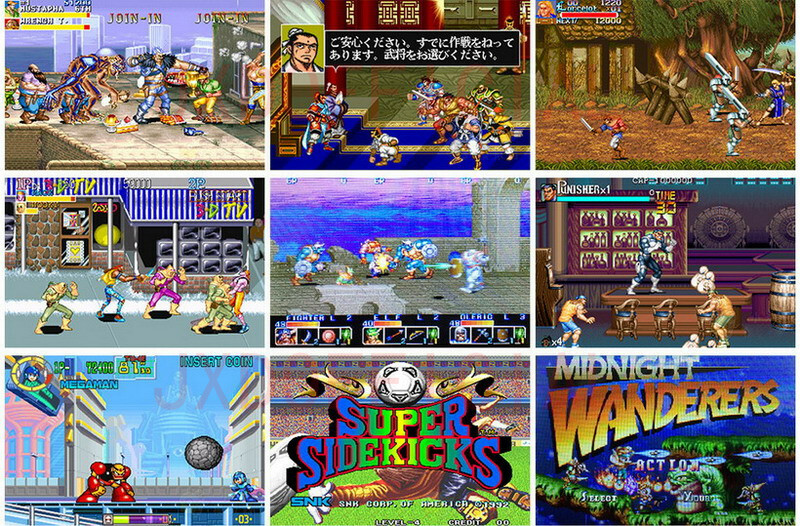 3.Press the “SELECT” button, select “Exit” to quit the game. 4.Please use charger below 1000mA when charging lithium battery, charging time 4-6 hours. 1) 9 months Manufacturer’s limited Warranty for defective items (excluding items damaged and/or misused after receipt).Accessories come with a 4-month warranty.